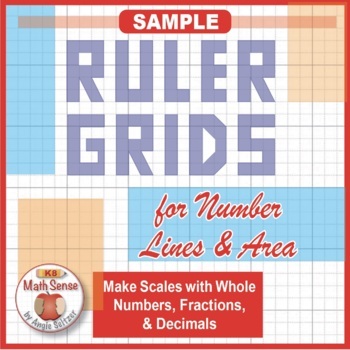 This package includes two ruler grids marked in inches (6 & 10 parts per inch). 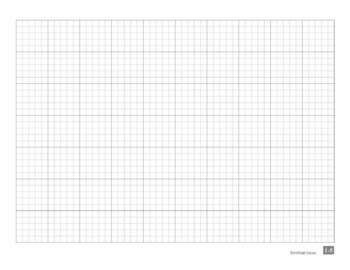 These grids are carefully designed with shaded lines so that students' drawings will be easy to see on the grids. This is a FREE SAMPLE file. For a complete set of 15 grids for halves through tenths of inches and halves through fifths of centimeters, see this Ruler Grids resource. • Grids have dark gray lines for inches. • Lighter lines on each grid show fractional parts. • Labels along top edge of page show inches. • Labels along the bottom edge show the total parts. The four-digit code stands for the grade, domain, cluster, and math goal. Hint: Jot down the codes in your lesson plan book to use as TpT search terms later when you want to find appropriate games quickly. • MATH CARD GAME BUNDLES: Kindergarten, Grade 1, Grade 2, Grade 3, Grade 3, Grade 4, Grade 5, Grade 6, Grade 7, and Grade 8. Get games to use all year. Try a FREE PREVIEW game in each bundle and a FREE guide with English and Spanish instructions for using any set of cards. • MATH REVIEW BUNDLES: Grade 3, Grade 4, Grade 5, Grade 6, Grade 7, and Grade 8. For each grade level there are 4 parallel review packets that can be used to check progress. This FREE resource took time and energy to create. Your feedback is GREATLY appreciated. Please FOLLOW this store to be notified of new resources. Thanks for looking!